According to radio Vision 2000, the first bus made 3 years ago is still in full operation traveling between Port-au-Prince and Port-de-Paix. The road is really bad so for the first to be fully functional is amazing, the journalist things. Congratulations, once again, Jean-Paul Coutard, to you and your team. 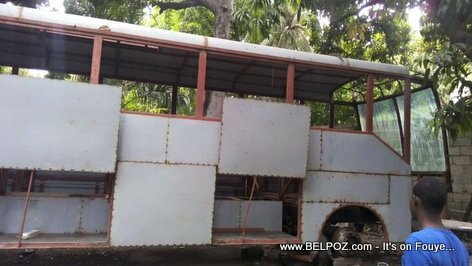 QUESTION: How do you feel about this first bus made in Haiti? 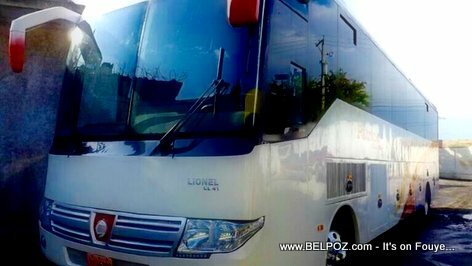 You are the number one bus maker in Haiti. Haiti needs somebody like you to develop social mobilization, to put buses on the roads in all department.